As summer approaches, summer camps all over the country are gearing up to open their doors to the campers who will spend the next weeks of their vacation enjoying the experiences they offer. While many churches host summer camps of their own, a great number of them send groups of their own youth to camps hosted by other churches. Unfortunately, the fact that a camp is being hosted by a church doesn’t automatically negate the need to be diligent in making sure that certain precautions are taken so that everyone is able to enjoy a safe and happy summer. At Beacon Insurance Agency of Pace, Inc. we have nearly twenty years of experience in providing our clients with insurance plans and creating packages specifically tailored to their individual needs as churches. In our years of operation, we have forged partnerships with two of the nation’s leading providers to offer coverage through Church Mutual and GuideOne Insurance. Those partnerships provide us with the means to offer unique guidance and safety resources that are invaluable in keeping our clients safe in the face of the many risks that challenge their ministries, including those that may put their youth in danger. As a church, it is your God-given responsibility to look after the well being of the children and younger members of your congregation. Such a charge can be increasingly difficult in today’s world – and that challenge is only amplified when those young lives are sent off to camps at other churches. For that reason, there are certain things that should be considered as you ready your youth to embark on their summer away. Does the Camp Allow the Use of Cell Phones? There must be trust involved in any instance in which cell phone usage is not allowed, as this lack of connectivity takes away a child’s ability to communicate directly with their parents when they feel the need. Is the Staff Certified in Child Protection? Most churches do require this type of training for any members of staff working directly with children, but it cannot be assumed that they do. Knowing that the staff has been properly trained and has been given a full background check is vital in offering assurance that children are not at risk for abuse. What Kind of Emergency Plans Do They Have in Place? Parents should be notified when an emergency occurs with their child, so inquire about their policies on emergency communications. 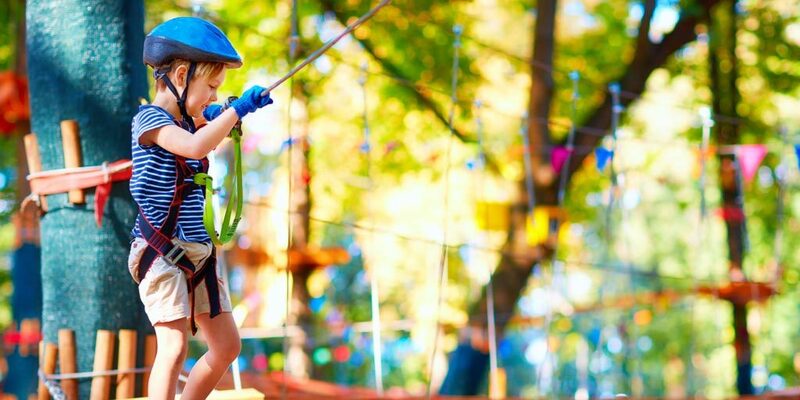 Church camps should have all the necessary liability insurance for onsite camps to cover injuries or any other incidences that might occur during camp. If they’re not insured, sending your church’s youth there is a risk too great to take. What is Their Stance on Discipline? Discipline is necessary, but the disciplinary policies they have could be different than those your church agrees with. Check into every camp’s policies on disciplinary action and make sure that parents are fully aware of them before they send their children to the camp. Similar to any other activity with which children are involved, waivers and release forms are a requirement that should be taken seriously. Have all waivers and releases fully read and signed by parents. The details outlined in them could be significant in the event that something happens during the course of the camp. Camp should be fun, and we at Beacon want the time that your church’s youth spends away at summer camp to be one full of memories they’ll treasure forever. Part of our mission has always been to illuminate our clients’ path to peace of mind and that peace of mind extends to safeguarding the futures of our youth. Keep your church’s kids safe this summer at camp! Call the experienced agents at Beacon Insurance Agency to learn more about the types of insurance for we offer churches today!